Now that you’ve been introduced to the newest addition in my tech arsenal, let’s go places with it. Working for yourself and freelancing allows for some nice liberties. If the environment I am working out of feels stifling, I can always change workspaces. The best thing about being in New York City is the abundance of creative energy and cozy coffee/tea shops — each with a different vibe. It’s my constant source of inspiration. Also, having the right tools helps with my creativity. 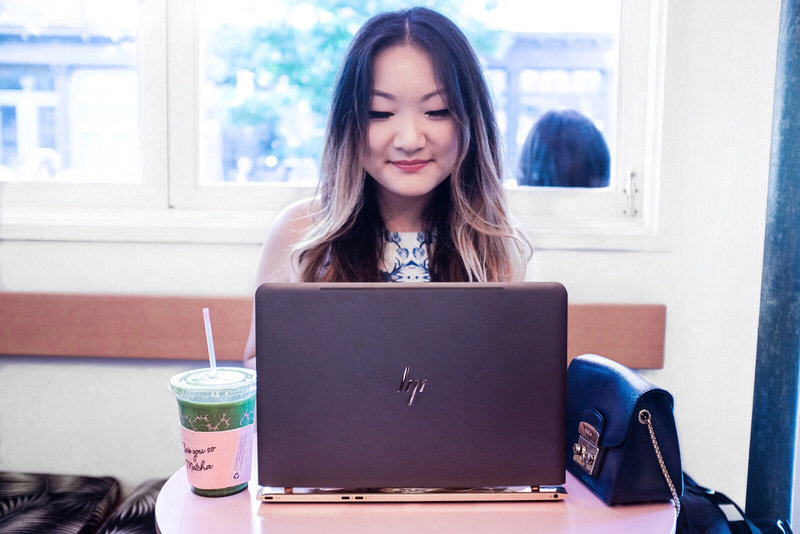 Since using the HP Spectre, I’ve been inspired to look at my work differently. New technology definitely inspires experimentation. If you’ve noticed, lately my photography and editing style is quite different! With the Spectre, commuting and moving about is pretty effortless. 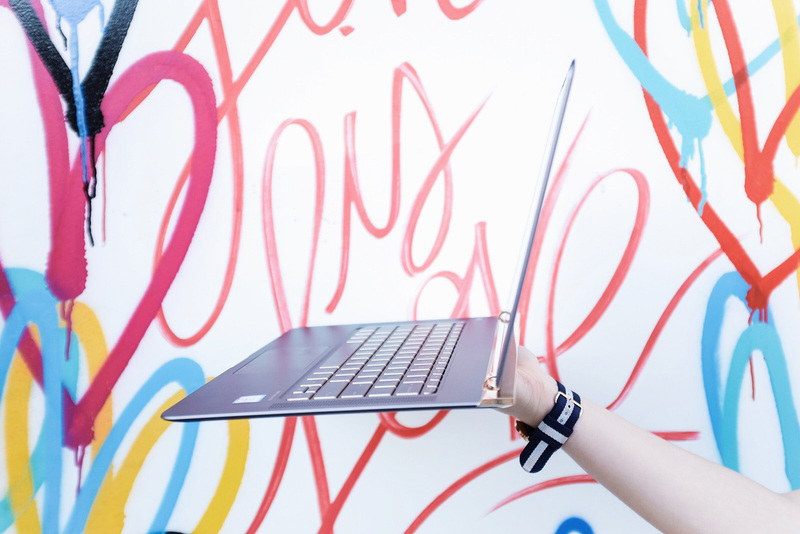 The laptop is definitely the lightest I’ve ever encountered and it is amazingly thin. As a visual creature, I love how high the resolution the screen is. It was one of the first things that I was super impressed with when I began using it. It literally made me question what I’ve been looking at for the past years (on my old laptop). Even my blog looks so different on it… life changing. Incredibly happy that I’ve upgraded! 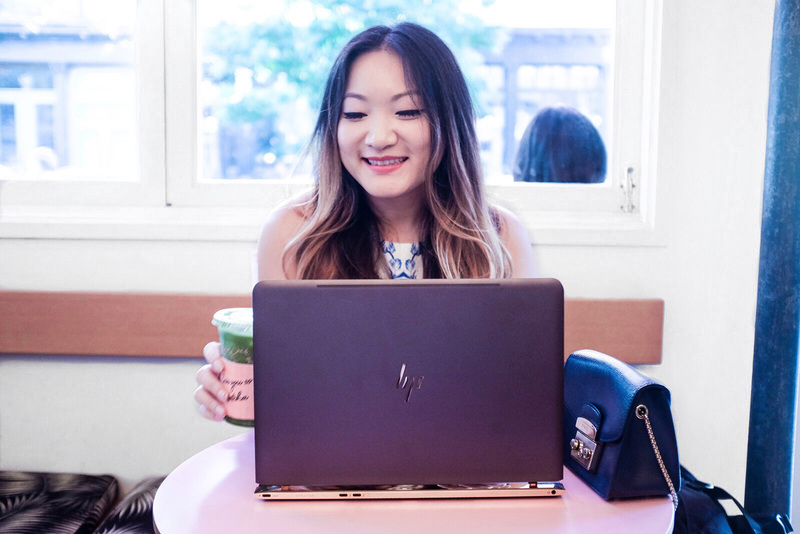 We already know how stunning the HP Spectre‘s design is. 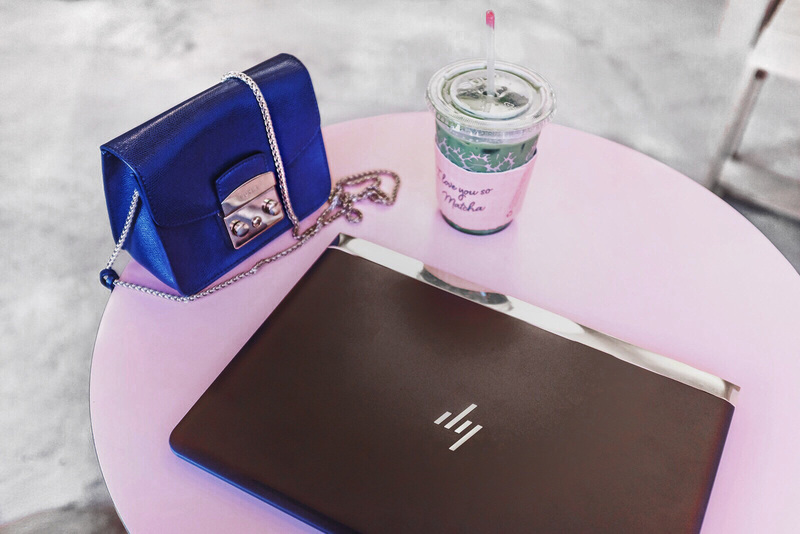 Even the accessories for it are equally luxe and beautifully crafted. Whenever I need to bring my laptop out, I just slip it into the matching carrying case and go. 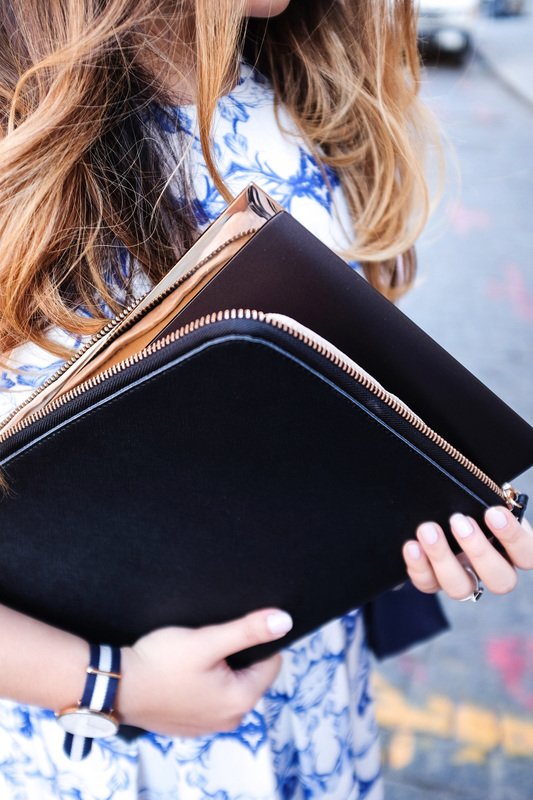 Since, I’m not a big fan of being a bag lady, this sleek leather sleeve is all I need. More specs and info here. Love the 2 piece set and the accessories are perfect! This outfit is AMAZING! Beautiful photos! They are so clear and detailed, love checking out your blog!